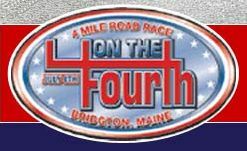 The Bridgton 4 on the Fourth is a four-mile road race run each year on July 4 from downtown Bridgton on a scenic & somewhat hilly backroads loop back to downtown. The race attracts a growing and faithful group of runners from New England and many other states. In 2001, the race was named New England’s top race by New England Runner magazine. In 2010, the race was inducted into the Maine Running Hall of Fame. In 2018, all registration will be online and limited to the first 2250 runners who register. A free technical running shirt will be given to the first 500 runners who register. To encourage early registration, the registration fee will increase from $20 to $25 beginning June 15 and, if registration has not closed out, to $30 beginning July 1. THERE WILL BE NO REGISTRATION AT EARLY PICK-UP OR ON RACE DAY. Registration will close when 2250 runners have registered or at 8:00 PM (EDT) on Monday, July 2, 2018. In addition to the 4-mile race on July 4, the 3rd Annual Kids Fun Run/Walk will be held at 4:30 PM on Tuesday, July 3, 2017. 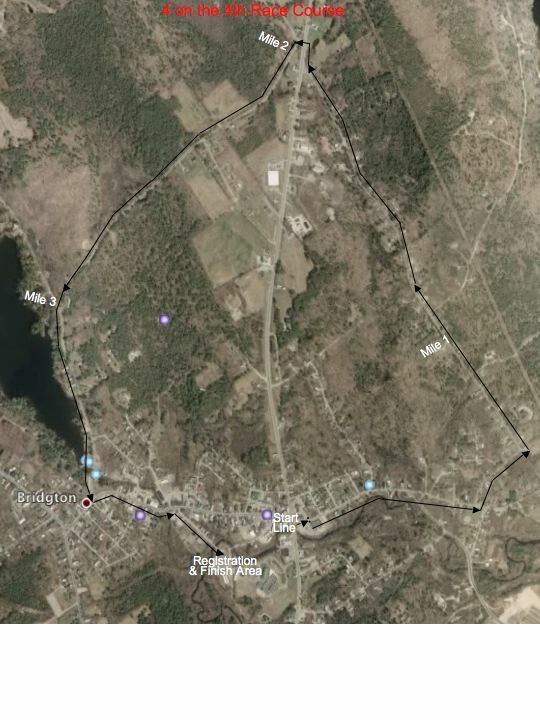 This even has a choice of distances: 1/4 mile; 1/2 mile or 1 mile. Registration for the Fun Run/Walk is either online or at Memorial School from 3:30 - 4:30 PM on Tuesday, July 3, 2017. Registration will close when 2250 runners have registered or at 8:00 PM on July 2, 2018, whichever occurs first.